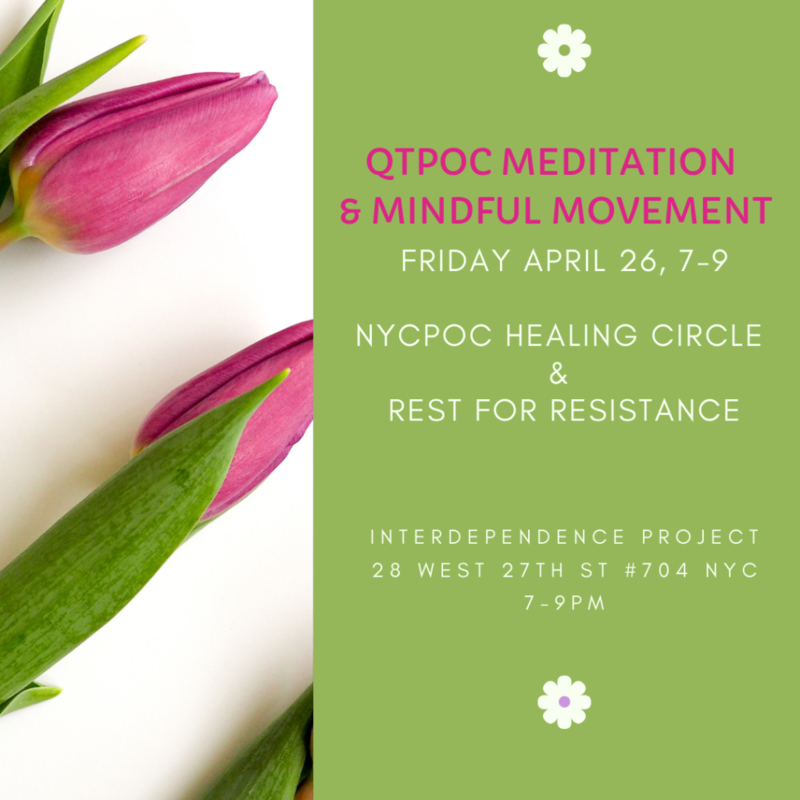 Join me on Friday April 26th from 7-9 pm at the Interdependence Project, 28 West 27th Street #704 where I’ll be guiding a meditation and mindful movement practice for QTPOC. This event is hosted collaboratively by NYCPOC Healing Circle and Rest for Resistance. The space is wheelchair-accessible, but the bathrooms are not. This entry was posted in direct action, meditation and tagged lovingkindness, meditation, metta, POC, yoga by admin. Bookmark the permalink.